The idea for the 20th Century Veterans’ Memorial was conceived by Lieutenant Colonel (Ret.) Don C. Craig US Army (Infantry) World War II and Robert R. Hinde, Jr. Sergeant US Marine Corp World War II. 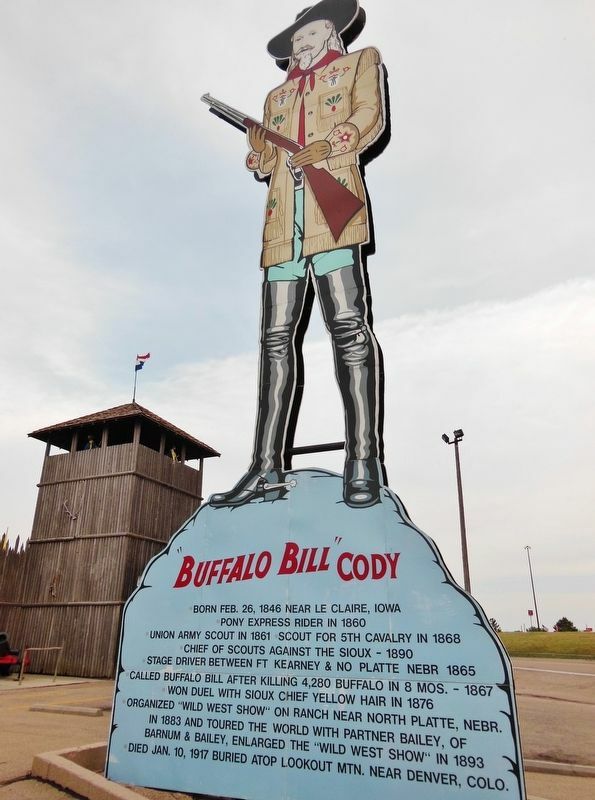 William Frederick Cody (1846-1917), known to the world a "Buffalo Bill," was the most noted Nebraskan of his day. The Many national and European tours of his various "Wild West" exhibitions made him the living symbol of the American West.